Arduino LCD touch display of 3.2"
3.2" TFT LCD module with touch screen and SD slot. It is suitable for embedded systems that require high-quality color display or video with interactive control. 2x20 Pin 2.54 mm double row pin header interface for connecting MCU. Resolution: 240 x 320 points. The LED display may not be directly involved in board Arduino mega. Is it necessary to use the Arduino Mega TFT LCD Shield for reducing tension. 19,87 € tax incl. 16,42 € tax excl. 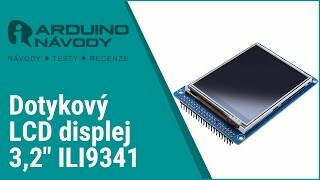 Technical question Product availability Arduino LCD touch display of 3.2"